﻿WHAT ARE PEOPLE SAYING ABOUT US? "Our principals and teachers have also found the program to be effective in helping create a safer and more positive learning environment within the school building and helping students develop and strengthen relationships with peers and adults." Thomas K. Washington | Superintendent of Schools | Crawford Central S.D. "Our principals and teachers have also found the program to be effective in helping create a safer and more positive learning environment within the school building and helping students develop and strengthen relationships with peers and adults. “Character: Be About It was implemented at Maplewood Junior-Senior High School to 7th grade students during the 2014·15 school year. Trooper Steve Ulintz spends one full day per week focusing on the positive character traits of grit, integrity, kindness, zest, self-control, fairness, hope, optimism, gratitude, bravery, curiosity and social intelligence. 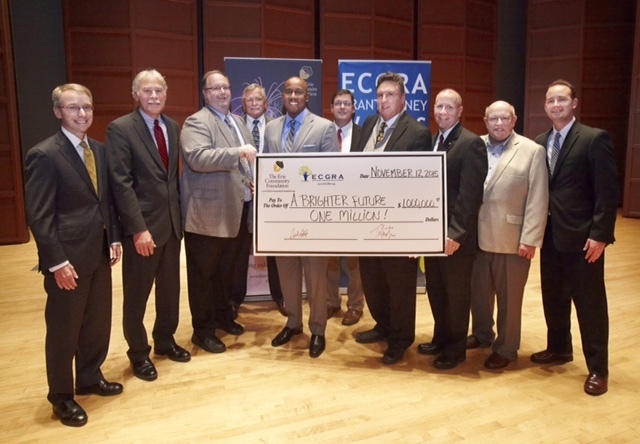 Thank You Erie Community Foundation and Erie County Gaming Revenue Authority. The program advances education, diversity, community building, and urban revitalization. Ultimately, the long-term benefits include improved health and welfare of students, their families and communities. join the solution. Introduce character:be about it to your community.